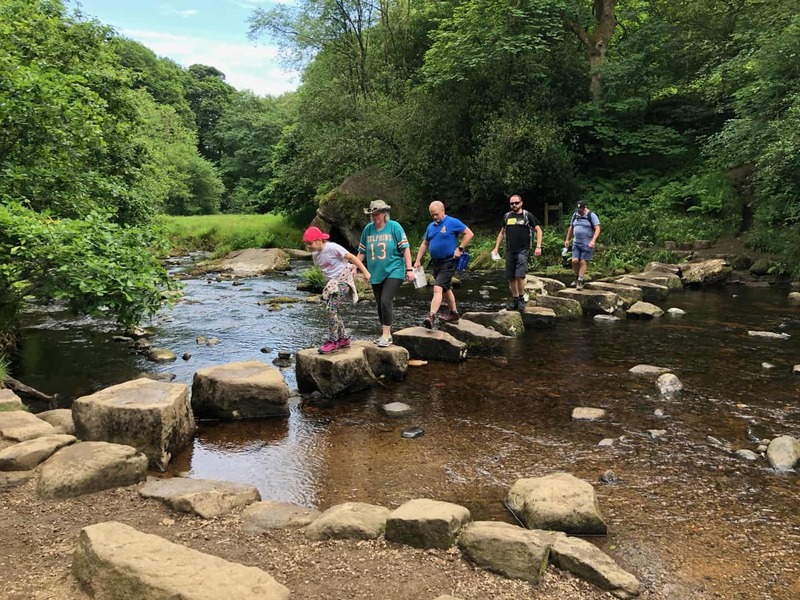 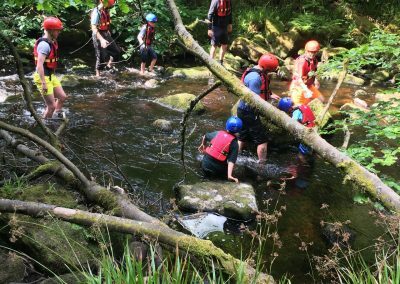 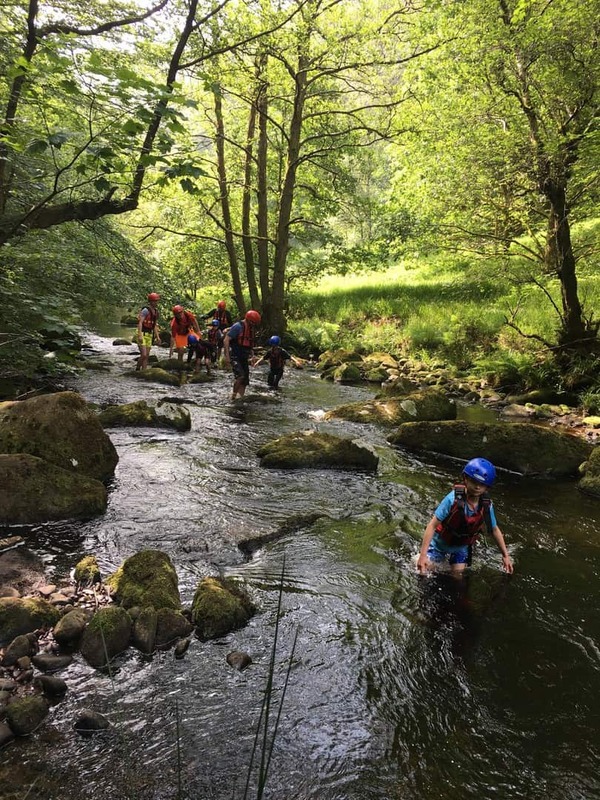 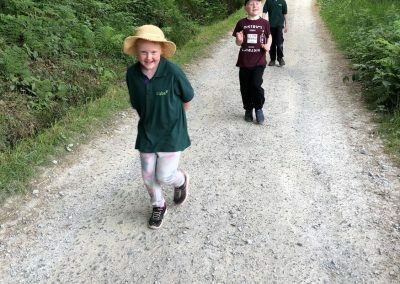 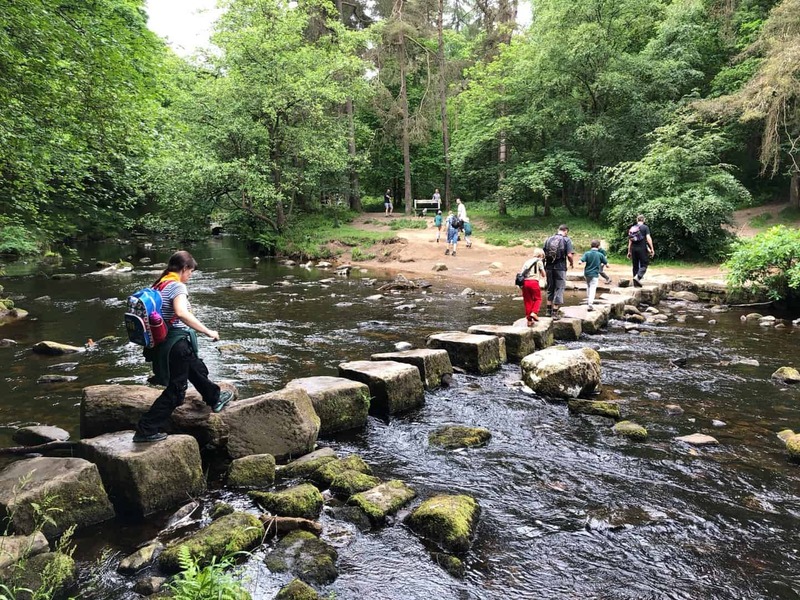 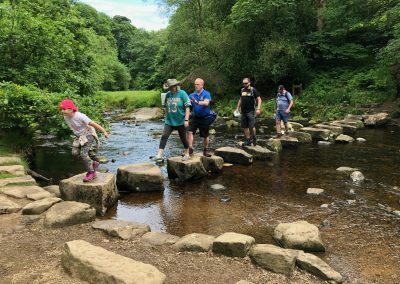 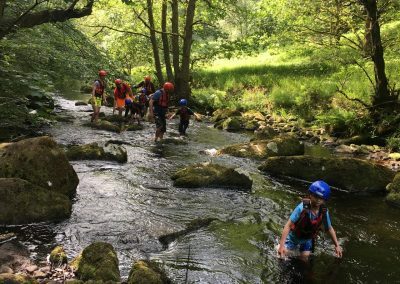 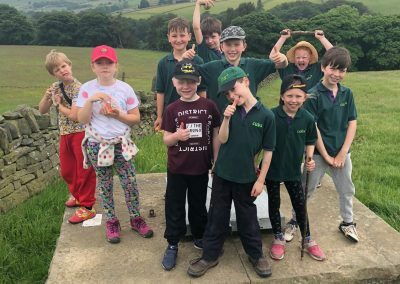 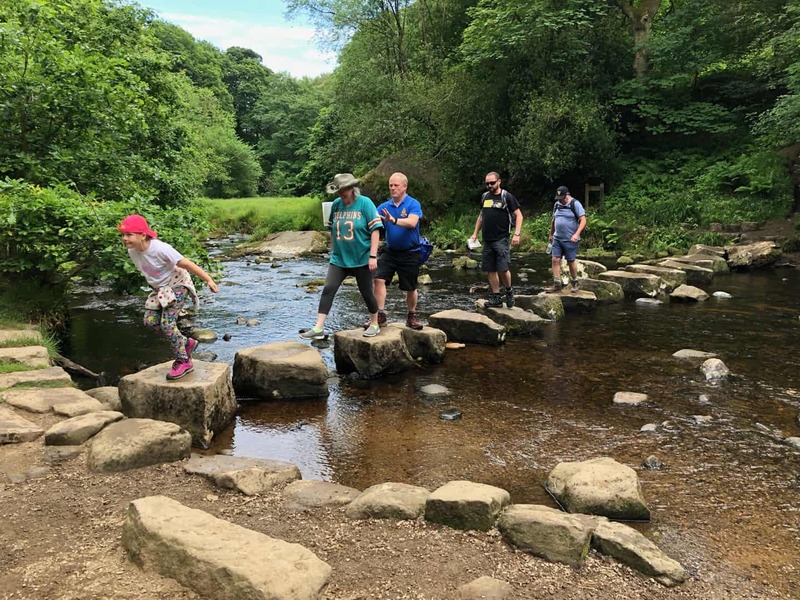 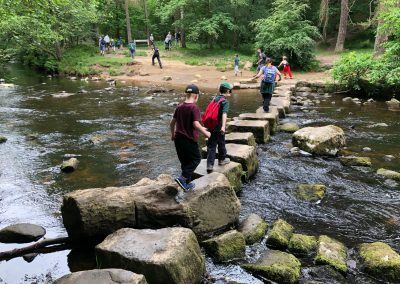 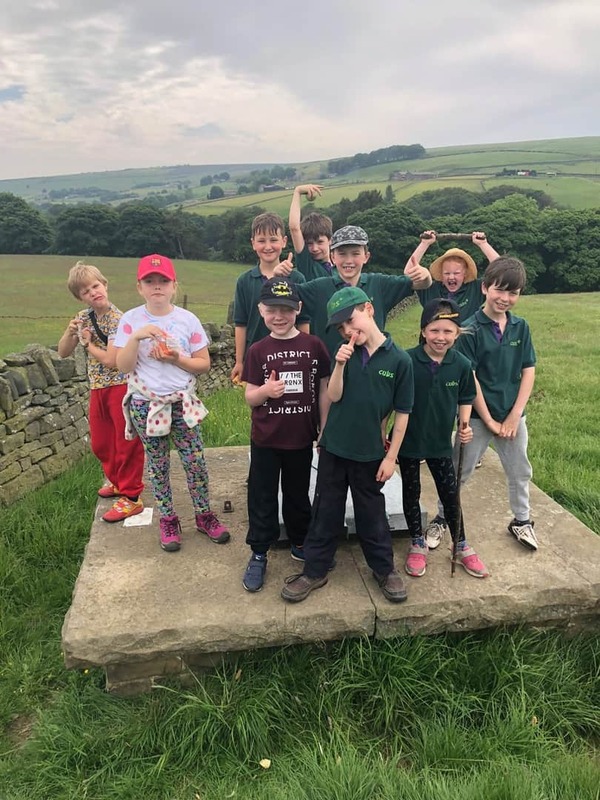 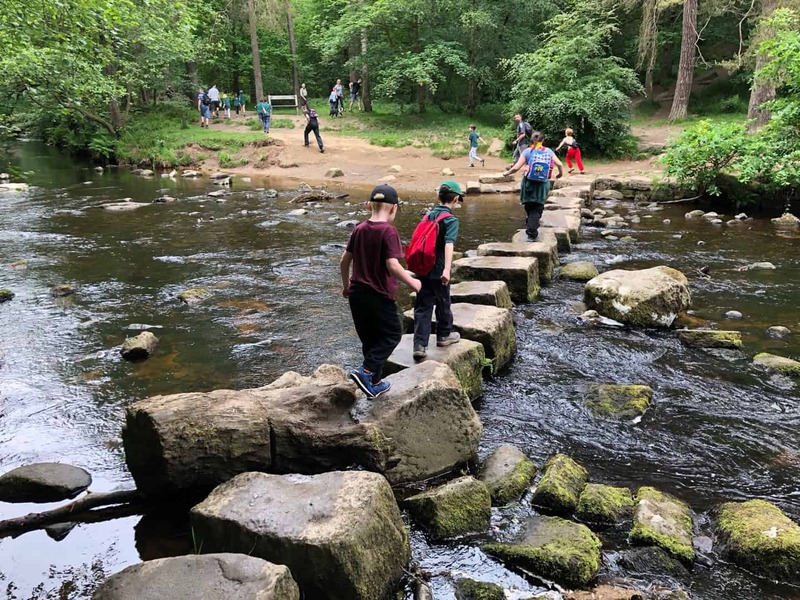 This years parent and child camp was held at Hebden Hey Scout Activity Centre near Hebden Bridge. 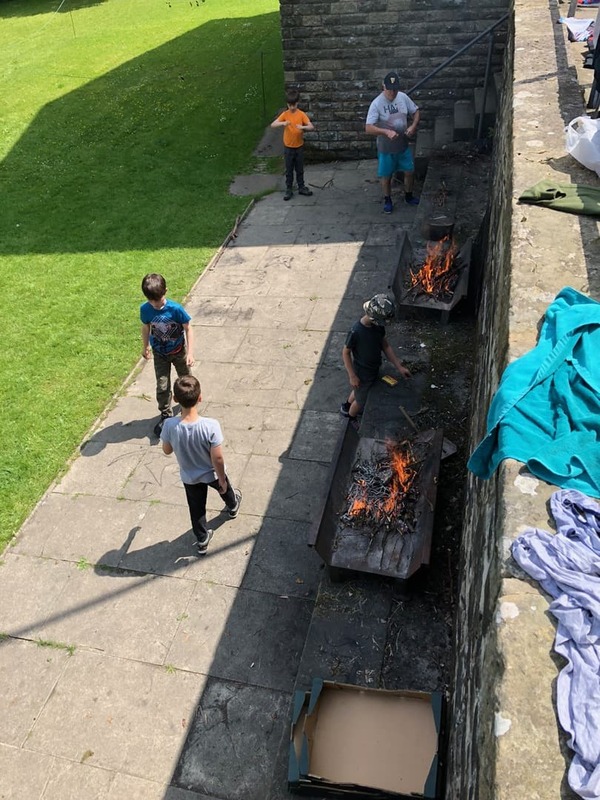 10 Cubs, their Parents and Leaders took part in this event over the weekend in June. 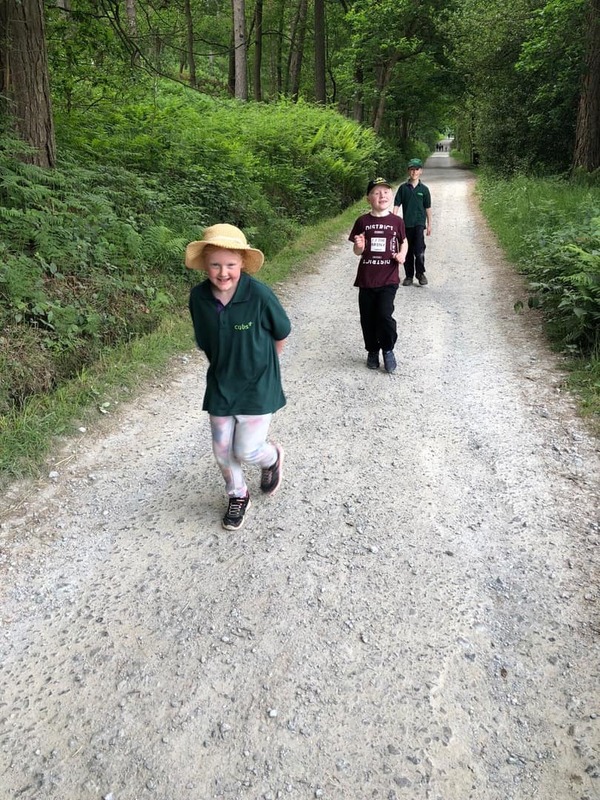 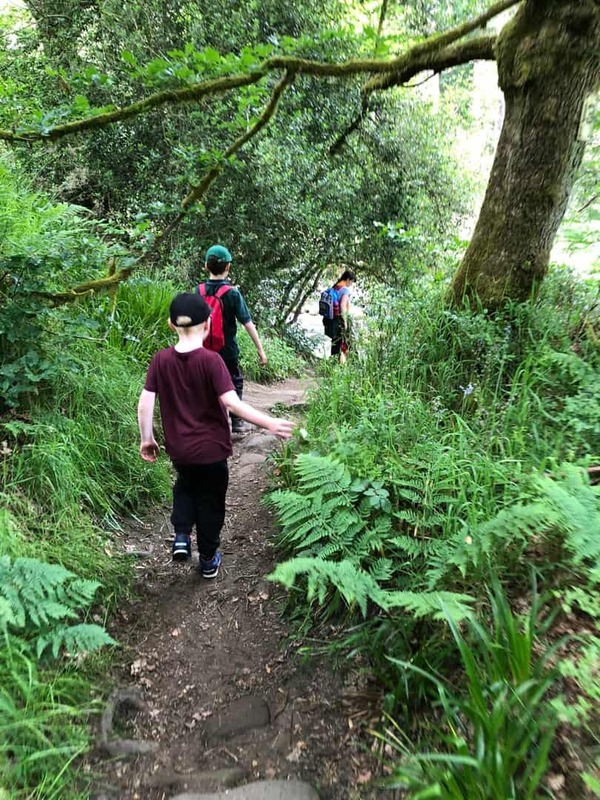 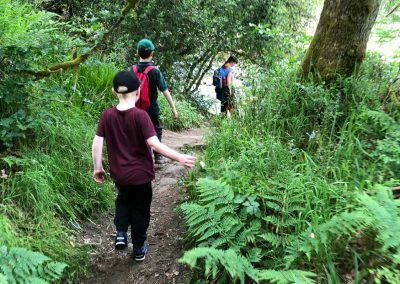 Once we had settled in to camp it was time for a steady walk around the fantastic landscapes and woodland around the campsite. 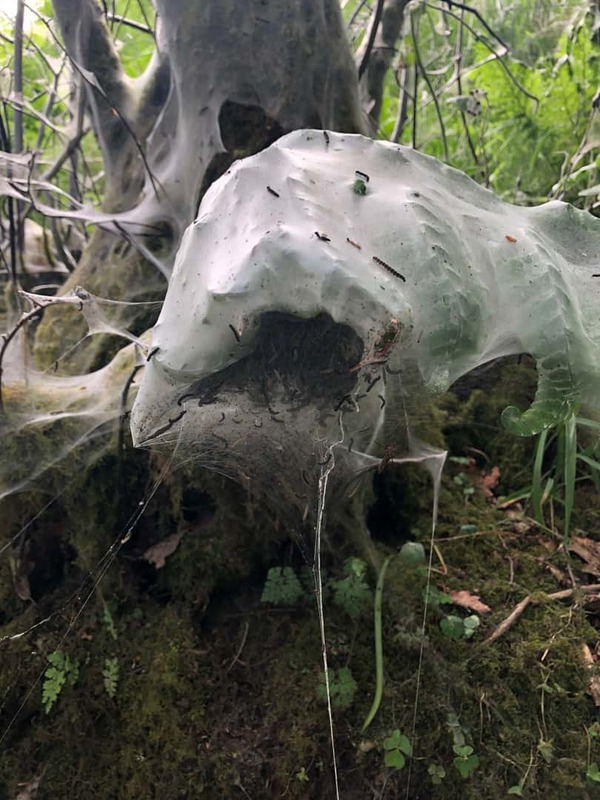 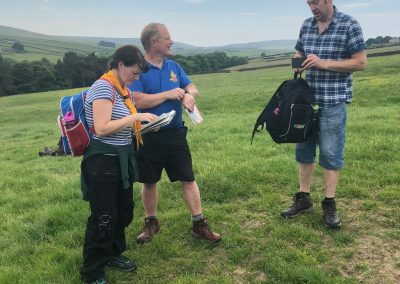 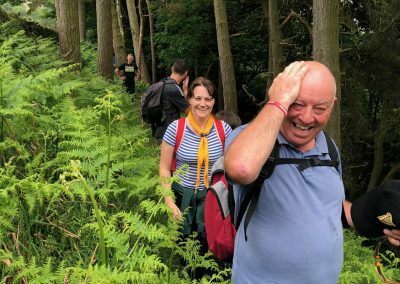 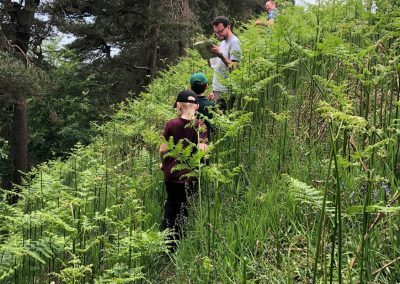 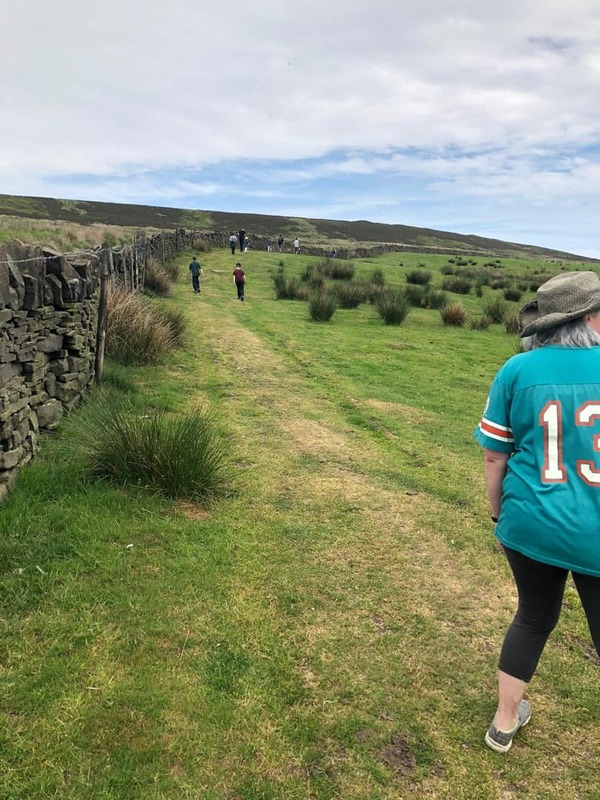 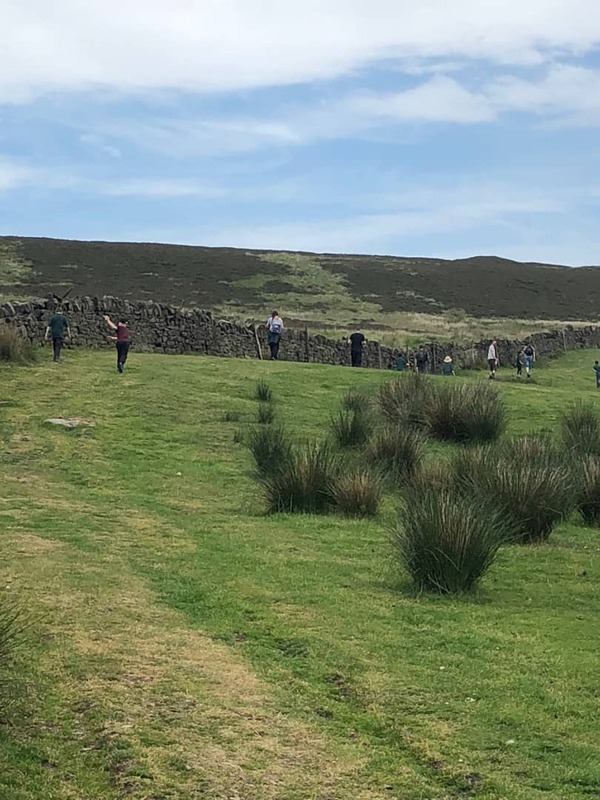 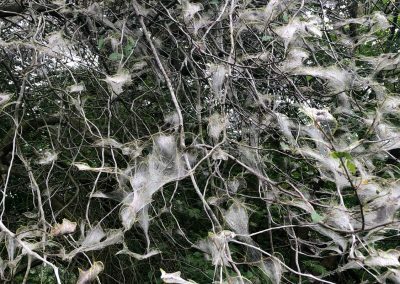 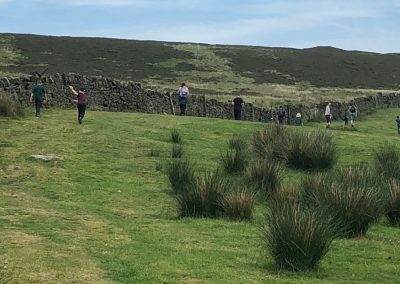 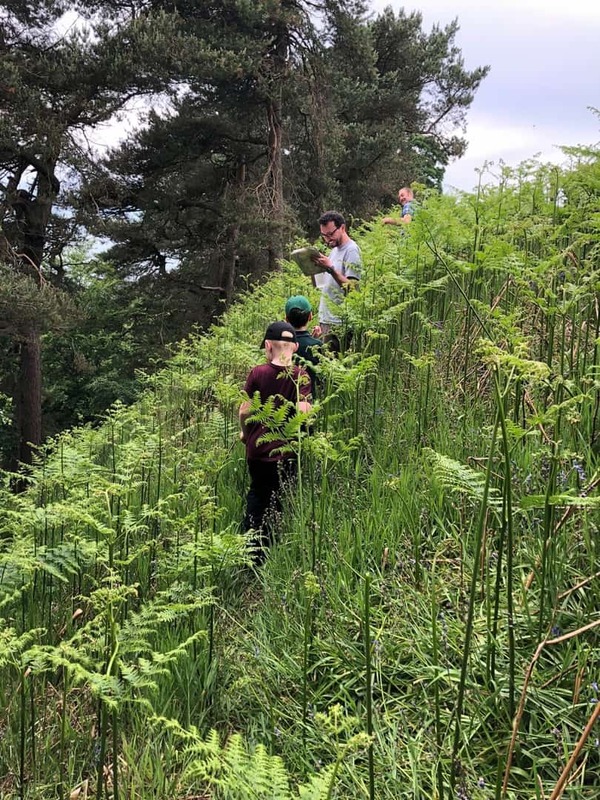 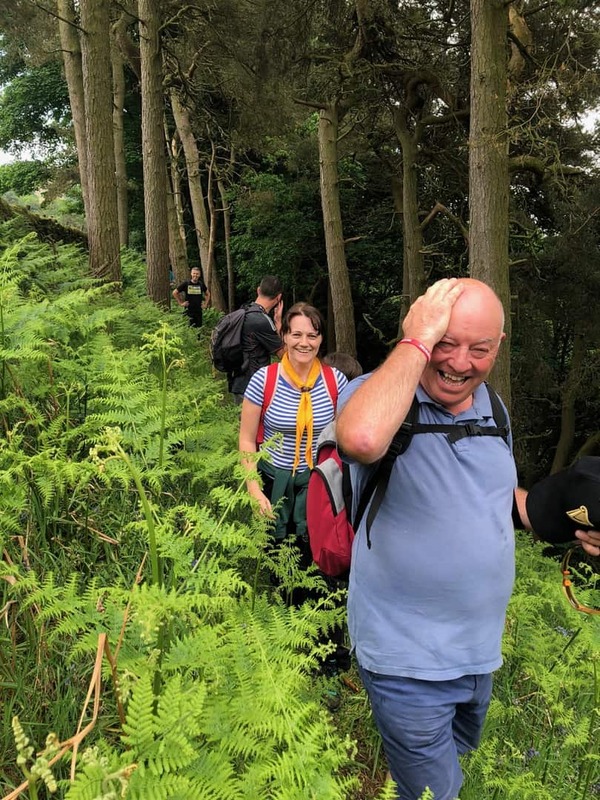 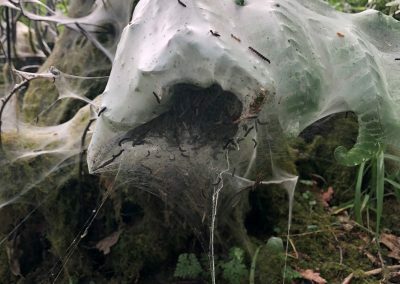 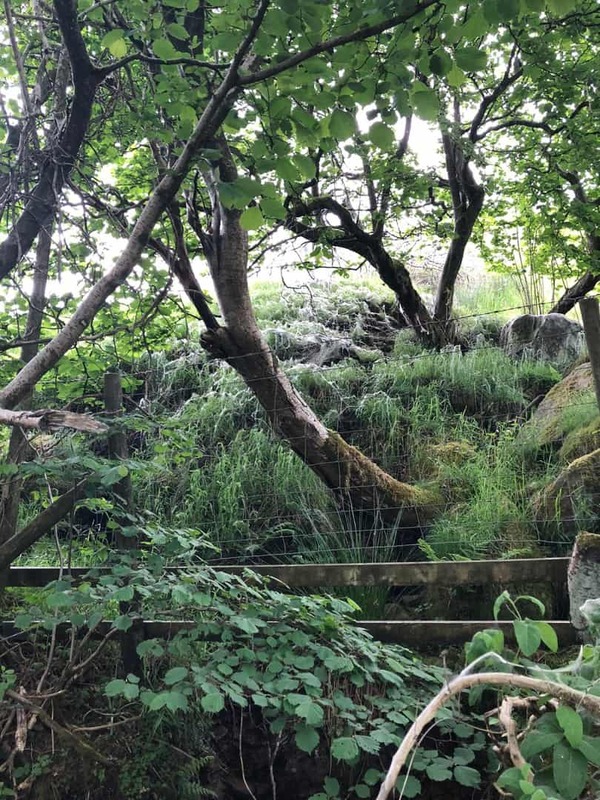 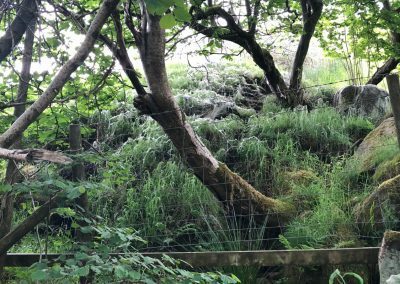 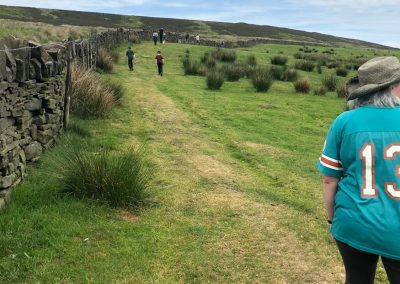 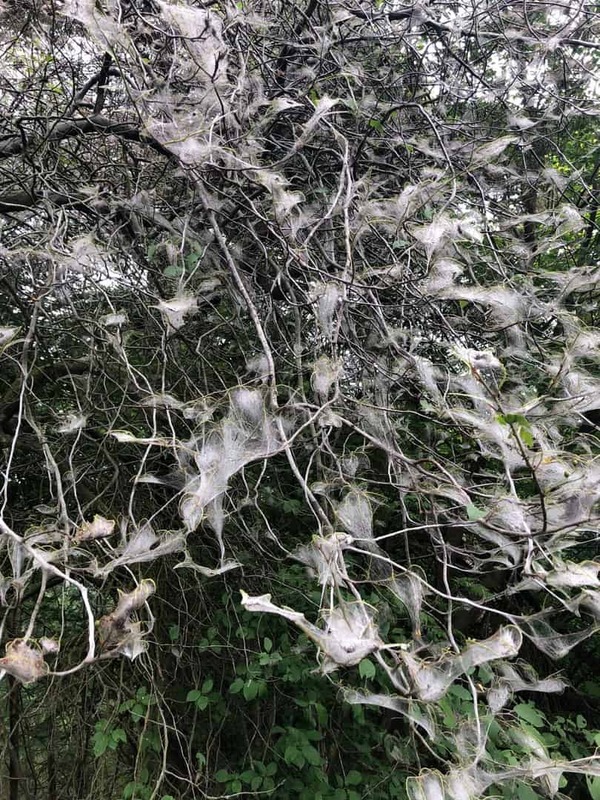 Despite having a number of navigators in charge the map, this began with an interesting mountain goat impression along a ridge and finally escaping over a fence! 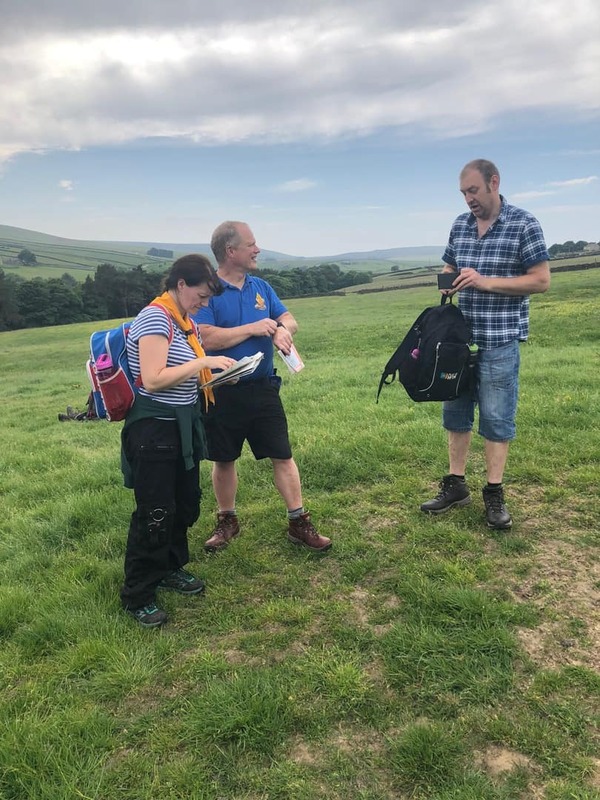 A bit more map work needed for the adults I think! 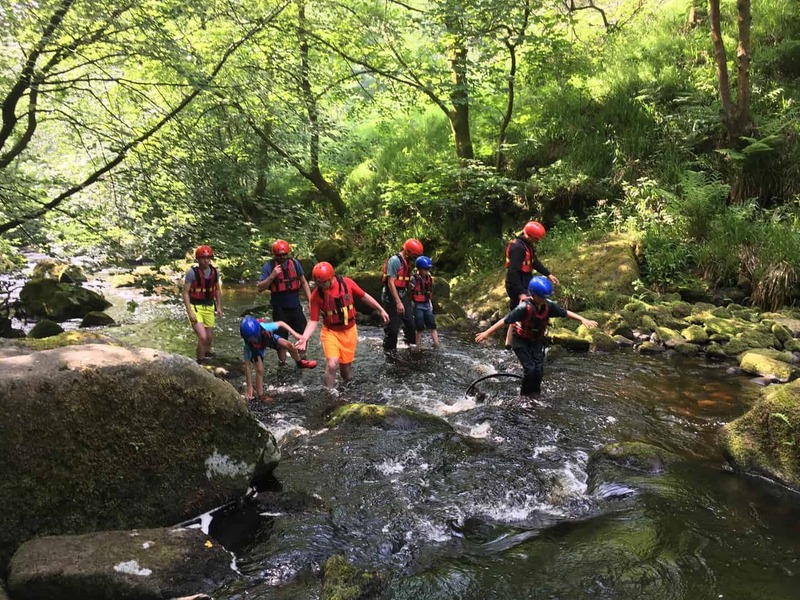 This was an opportunity for us all to get kitted out with all the gear to walk up the river, amongst the rocks and rapids. 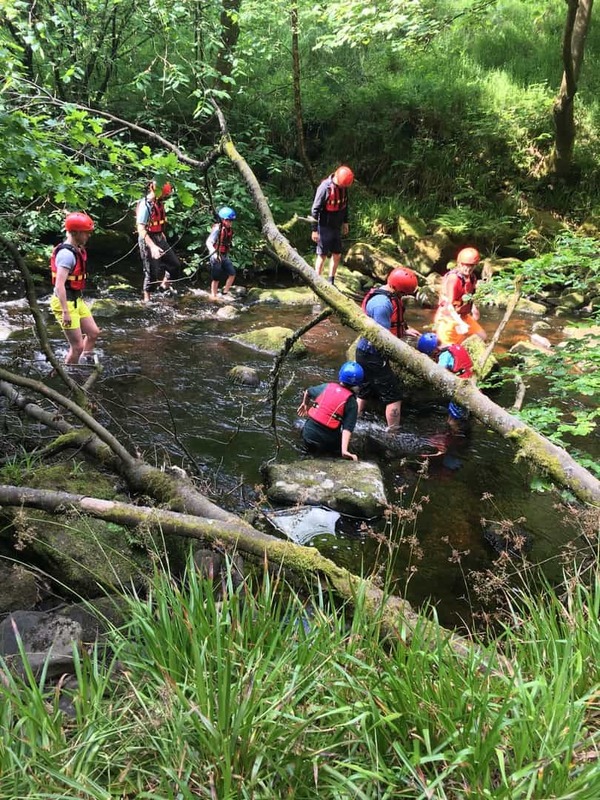 A few unseen deep sections and slippery rocks caused a few unexpected baths! 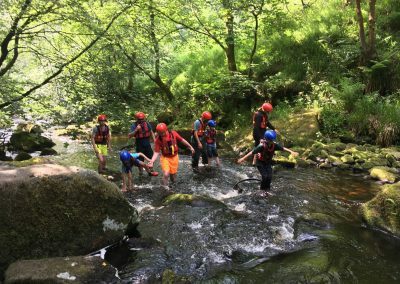 While being overseen by the local safety instructors, everybody had a great time trying to pick there way through the rocks without getting too soaked. 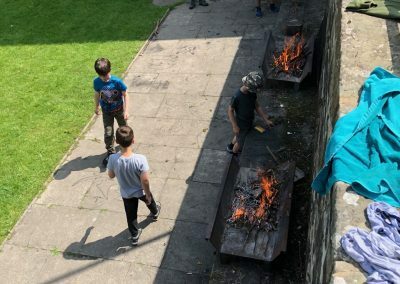 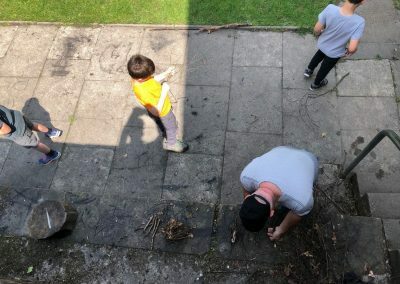 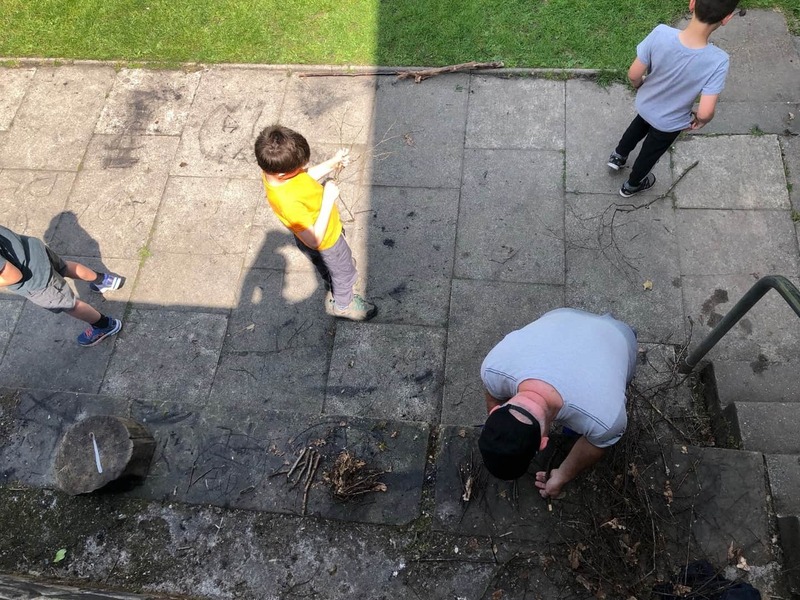 A few twigs, sticks and matches – and a bit of friendly competition between the parents made for an entertaining time trying to successfully keep the fires burning ready for the afternoon barbecue. 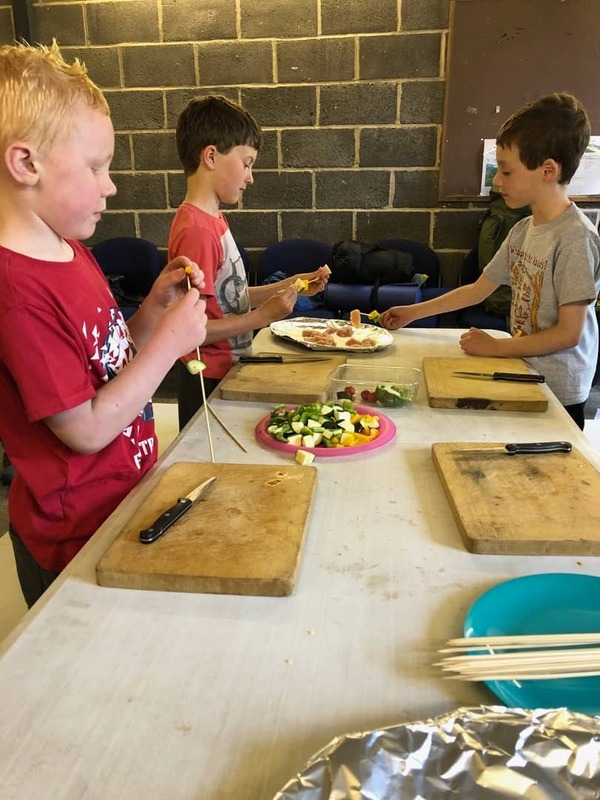 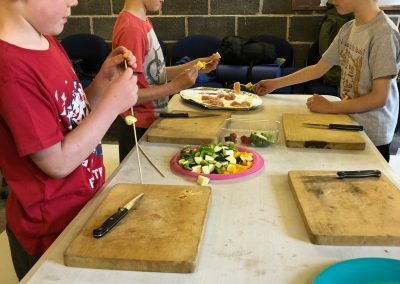 The Cubs also prepared the skewers and fruit kebabs ready for cooking at lunchtime.